A huge range of educational and inspiring activities, talks and performances are offered to independent and state school pupils as well as local communities as part of annual summer arts festivals led HMC schools. Two examples of well-established events are the Portsmouth Festivities led by The Portsmouth Grammar School and the Oxford Festival of the Arts, sponsored by Magdalen College School. Both Heads take a leading role in overseeing their festivals which are supported by high profile writers such as Dame Carol Ann Duffy and Sandi Toksvig as well as universities, the British Council and The Arts Council. To work with community groups and other schools to create an enjoyable cultural experience. To broaden participation in and access to artistic and cultural activities, especially for young people. To support local artists, cultural and creative organisations. Now in its 17th year the Festivities celebrate Portsmouth’s cultural heritage. The Festivities, spanning 10 days, works in active partnership with 33 Portsmouth venues and 27 artistic and cultural organisations, presenting a diverse programme of cultural activities held in unique venues across the city. The 2016 Festivities provided 104 events from a performance by the London Contemporary Orchestra to light displays projected onto iconic buildings based on the year’s theme ‘Electric’. 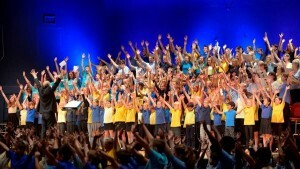 Events across the years have included the astronaut crew of Space Shuttle Atlantis appearing before thousands of school children and a unique music composition inspired by Henry VIII’s renowned ship the Mary Rose for a choir of children and adults. The Portsmouth Grammar School sponsors the Festivities and hosts its main office on their High Street Campus. Up to five members of PGS’ teaching staff work with the Festivities every year. The school’s sixth form pupils also get involved, assisting with front of house and stewarding roles as well as many showcasing their musical talent. The Festivities also work with a range of local schools to provide educational opportunities and a platform for local young artists throughout the festival. This year this included a secondary schools’ debate on solar energy and the Play in a Day in which local schools united at the New Theatre Royal, using the stimulus Electric to devise their own unique plays. The theme of next year’s Festivities will be PLAY. Established in 2009 by Dr Tim Hands (former Head of PGS) after the Portsmouth Festivities’ success, Oxford Festival of the Arts attracts residents and visitors during its two-week festivities, and pupils from county schools during year-round engagement activities. 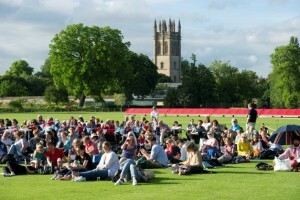 In 2016, visitors could attend events across the fields of music, art, drama, literature, poetry and entertainment, including a talk by director Sam Mendes on his career, a variety of musical performances by pupils and professionals, outdoor screenings of films and opera on the school’s fields, an Art and Crafts Day and much more, providing an entertaining experience for all. Magdalen College School (MCS) is the event’s founder, coordinator and lead sponsor and loan their grounds and facilities. MCS staff members form the Festival Committee which is central in planning the Festival and associated engagement activities. In 2016, the Festival’s ‘Women Create Change’ photographic exhibition was accompanied by a seven-month education project. This consisted of workshops for 13-18 year olds on the role of photography in the first world war, followed by coaching in photographic skills. Supported by a professional documentary photographer, the young people each produced a photographic series depicting their lives in Oxford today; the photos were displayed alongside the professional series during the Festival. 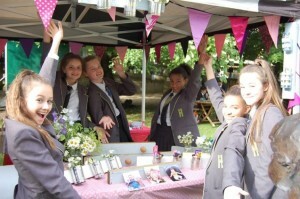 Other educational programmes included the Art of Enterprise Business Challenge, which was judged by professionals during the Festival, while the winners of a short story competition resulting from the Young Writers Gifted and Talented Course for nine Oxford primary schools had their stories read aloud by established authors. Both attract vast numbers to their over 100 events. Oxford Festival of the Arts attracts 25,000 visitors and reaches over 250,000 people online, while the Portsmouth Festivities reach approximately 12,000 people in and beyond the region, as well as over 120,000 people online, through broadcast and in writing. The Educational programmes are regarded by the schools as a significant way to involve young people in creative activities, broaden their horizons and develop their skills. Magdalen College School in 2015-2016 worked with 2,800 students from 45 Oxfordshire schools, while The Portsmouth Grammar School worked directly with two other schools as Education Associates while 13 local schools benefited from the Festivities.